Ensure your success in the Note Business by learning from, shadowing, partnering and working with a CURRENT practitioner, 20 year note business veteran and experienced note professional! 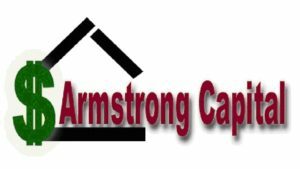 Whether you are just starting in the note business or are an experienced note professional, Jeff Armstrong is the resource for information, products, training and mentoring in the seller financed note industry. Now you can learn everything you need to know from a current practitioner in the business and create the same success even faster! Do you have available resources to get answers to questions on demand? Do you have the leverage in place to get you where you want to be in the next year? With a specific foundational and vocational path created specifically for the Note Business you will be on your way to earning the Extreme Passive Income that can only be found in the note business by working directly with Jeff. It is more than just seller-financed notes; it is about learning the real estate market, being able to analyze deals and having the people in place to make it happen. It's about creating the basis for doing what you want to do, when you want to do it and having the money to do it with. If you are looking for that Extreme Passive Income that can only be found in the note business we are looking forward to hearing from you. Even the seasoned note and real estate investors need to stay up on current market trends and leverage people in the ever changing note and real estate industry. Some real estate and note investors have gotten in trouble after investing a certain way for many years. It is not that they were dishonest or unethical, rather the market conditions changed and new laws were created. How do you avoid falling into the trap of losing everything you have worked to accumulate? Keep up with market changes and be aware of new laws and regulations as they come out. Contact us today by filling out the short form above to find out how you can become a part of the most successful real estate education in the nation! Become a part of the most powerful investing community that has produced countless successful real estate and note investors since 2000 in all areas of real estate investing including: Seller Financed Notes, Multi Family, Short Sales, Fix and Flips, Lease Options and more. With a specific foundational and vocational path created for each area you can choose which path is best for you. From the basics to advanced you will learn from and work with current practitioners who do what they teach. There has never been a real estate market like the one we are currently experiencing. Ten years from now will you be saying to yourself, "I should have gotten into notes and real estate 10 years ago' OR will you be saying, "I am so glad I got into notes and real estate 10 years ago!" Now is the time!